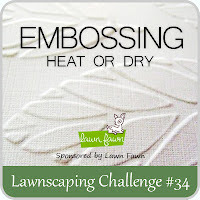 I decided to do both dry and heat embossing on my card for the latest Lawnscaping Challenge. When I was putting it together, I thought it needed something else so I added the dry embossing. I am happier with it now. Oh this is fabulous! I love love love love love it! I can not express enough how much I love this! Gorgeous flowers, gorgeous heat embossing, gorgeous dry embossing, gorgeous colors!!! Just gorgeous! So glad you played along with us again! This is lovely! I LOVE that embossed background! Thanks for playing along with us at Young Crafters Unite! 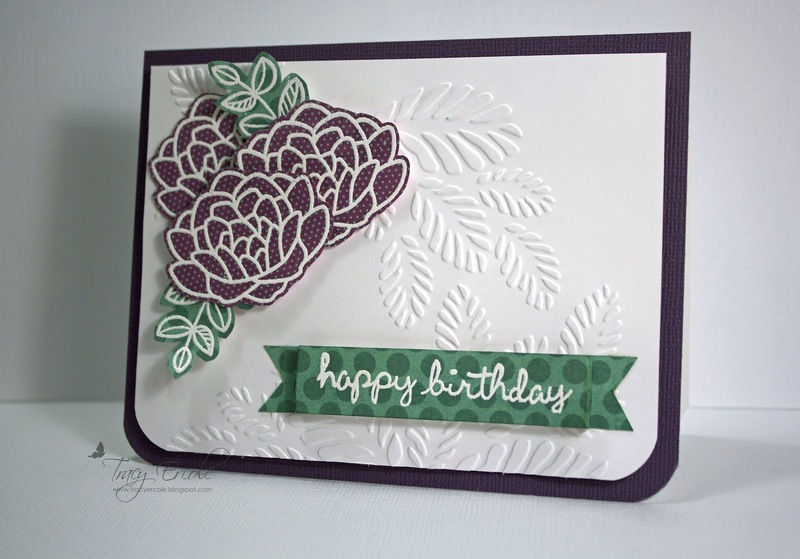 So pretty, love the striking white embossing on the dark purple patterned paper =) Thanks for joining our YCU challenge!